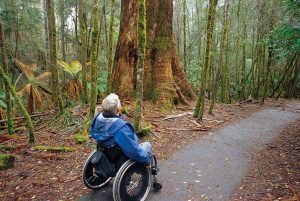 Russell Falls is reachable by a short, wheelchair accessible journey from the Mt Field National Park visitor centre, through enormous fern forests and some of the world's tallest trees. 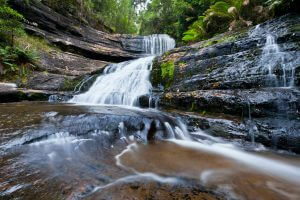 Horseshoe Waterfall is a 10 minute walk from Russell Falls in Mount Field National Park. 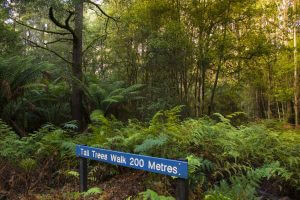 Walk amongst some of the tallest trees in Australia and tallest flowering plants on earth as you pass through wet forestland surrounded by native dogwood, myrtle and musk. Just 1 hour out of Hobart, you could easily make a day trip to the falls. The 20 minute return walk takes you through the heart of Mt. 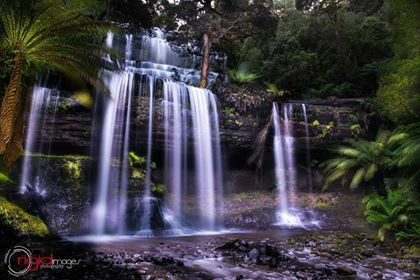 Field National Park, Tasmania’s World Heritage Wilderness Area, to find one of Tassie’s prettiest waterfalls. Discovered in 1856, and previously known as ‘Browning Falls’, the waterfall features immense streams of water that rush out over horizontal marine permian siltstone benches and layers of sandstone that are framed by tall ferns. They have 2 main drops and have a beautiful appearance which makes it the highlight of the park. If you’re coming from Hobart, you’ll pass through the picturesque Derwent Valley where you can stop and forage through antique collectables in New Norfolk, one of Tasmania’s oldest towns. If you’ve got small children, pop into the Salmon Ponds Heritage Hatchery and Gardens along the way to feed the fish and grab some specialty pancakes by the pond. In fact, take the whole family, because as one out of 3 waterfalls in the national park, the walk to Russell Falls is about as toddler friendly as walks get with easy access for both strollers and wheelchairs. You can follow the same route back to the parks entrance or cross the bridge below the falls and follow the creek back. If you’re camping locally or occupying cabins just outside the parks boundary, rug up, follow the trail using the wooden handrail and switch off your torch to let hundreds of resident glow worms illuminate the way for a mystical evening in the Tasmanian wilderness. Lady Barron Falls and Horseshoe Falls also share the national park and are intriguing in their own right. Horseshoe Falls is a quick 10 minute walk from Russell Falls, while Lady Barron Falls will be another 50 minutes on from there. The walking track is well maintained and includes educational signage so you can learn about the flora and fauna you pass along the way. No pets, firearms, or bicycles allowed. Consider having a picnic. There are multiple picnic facilities at the lower end of the park and is a nice way to rest in between the walks. The second visitor section offers downhill skiing and snowboarding, with tows operating in winter and good cross-country skiing across the higher plateau. 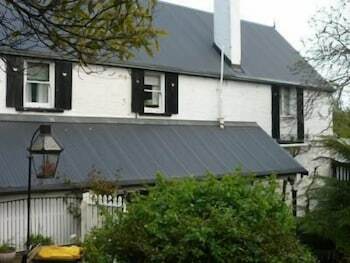 Nearby towns such as Westerway, Ellendale, and New Norfolk are good places to rest your head if you are not headed into Hobart. Cabins are available just outside the park boundary. Camping and caravan facilities are also available near the park entrance, in addition to a visitor center, cafe, and shop. Electric barbeques and toilets are available. Mt. 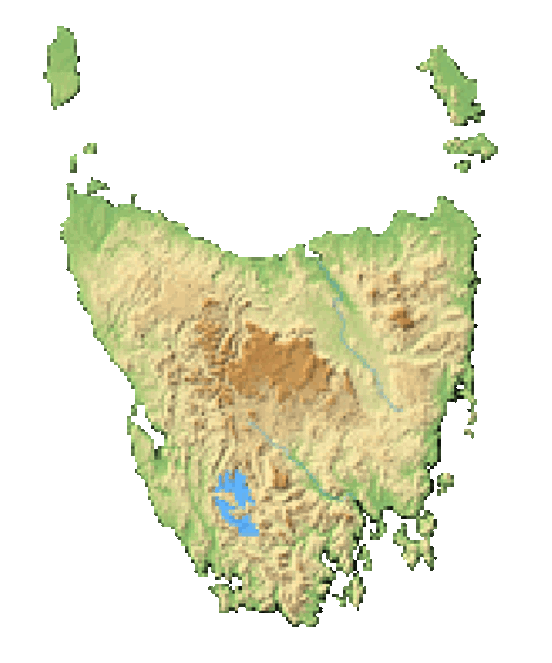 Field National Park is Tasmania's first national park (declared in 1901) and has been popular with nature lovers for well over a century. 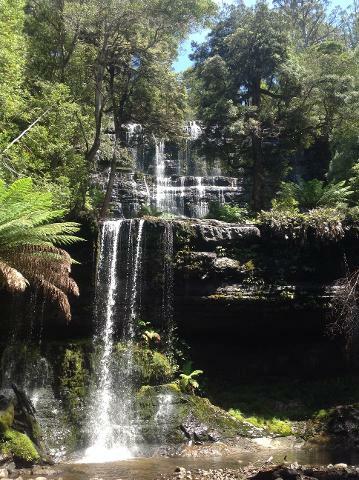 Russell Falls is the star attraction and was even featured on Australia's first stamp. 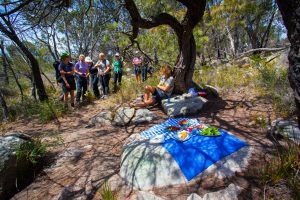 Even on the easier tracks such as Russell Falls, you will encounter spectacular natural wonders and wildlife, such as the eastern quoll and the eastern barred bandicoot. Eleven of Tasmania’s twelve endemic birds can be seen here as well. 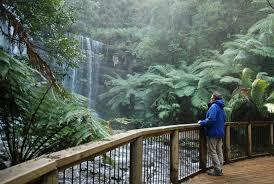 Tall tree ferns frame the track as you find yourself surrounded by swamp gums, the tallest flowering plant on Earth. Species typical of wet forests and cool temperate rainforests abound.